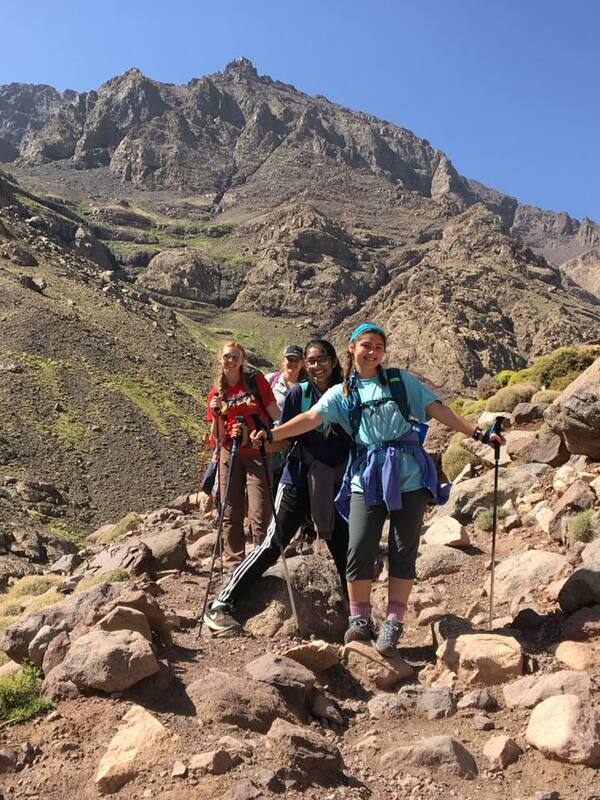 Easy to medium & interesting 3 day linear walk from Imlil to Setti Fatma , great walking option in the atlas Mountains which will take you through lot of berber villages, high mountain pass and walk down through the gorges of Ourika valley. Our trek starts from Imlil with about 1h and 45 min. 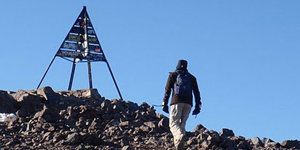 hike upwards in eastern direction towards Tizi’n’Tamaterte (2279m). Our path will lead through barley fields and orchards of cherry, walnut and apple trees to Tamaterte village. After passing the village, we will follow the pathway leading us up through the forest of pine and juniper trees. In Tizi we will have a short stop to enjoy the beautiful Imlil and ImnaneValleys with Berber villages stretching around us us, precariously tucked onto the slopes. Thenwe continue for another hour until we reach Wanskra and Amagdoul villages. Here on the plateau we will have our field picnic. 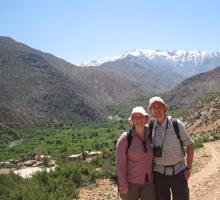 In the afternoon we will spent some 2 h to hike along mule trails up through the valley to an ancient Berber village. We will spend our night in a gite d’etape in Tachdirth (2291m). We start with an early breakfast to gain strength for the following 6 h hike in the south-east direction to Timichi village (1850m). 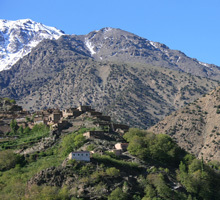 For the next 2,5 hours the trek will continue slowly up to Tizi’n’Tachdirth (3200m). 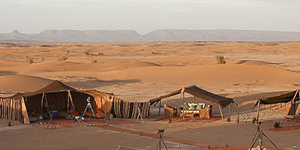 Here we will be awarded with an astonishing panoramic view of Bouignouane (3882m) and JbelAksoual (3842m) on the one side and Angour on the other. Here we can also enjoy the beautiful nature of VerdantValley stretching out below us. For the next 2 h we will follow a rocky pass in the northeast direction until we reach Iaabbassen village (2030m). Here, next to the spring just outside the village, we will enjoy your field picnic. In the afternoon we will have a 2 h hike in the northeast direction down the valley to the Timichi village - an ancient multi-layered terraced village surrounded by old nut trees. Here the dinner will be awaiting for us. 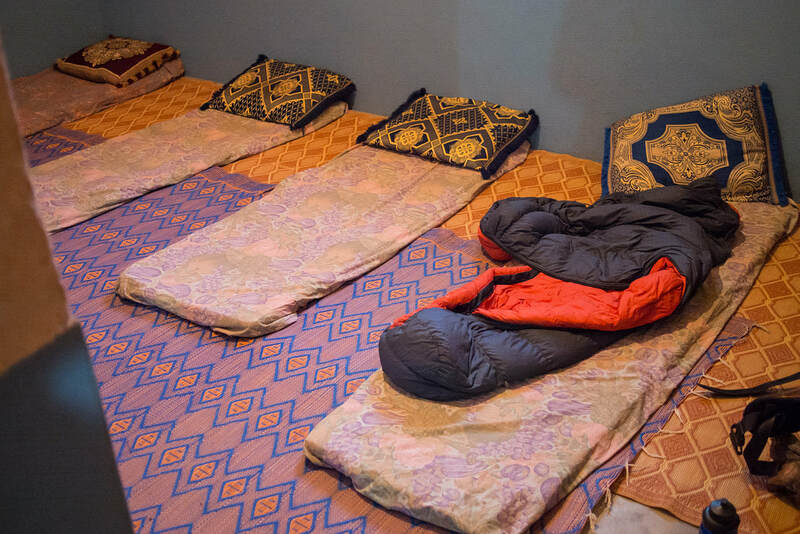 We will spend a night in a traditional Berber family house. 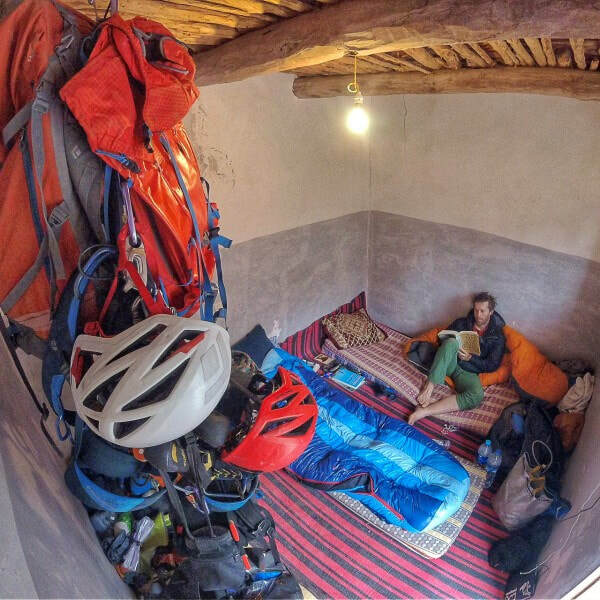 The accommodation during this trek will be in village simple gites inside berber villages (Tachdirth & Timichi ).